Wheaton Van Lines Agent, Coast Valley Moving & Storage has a New Website! 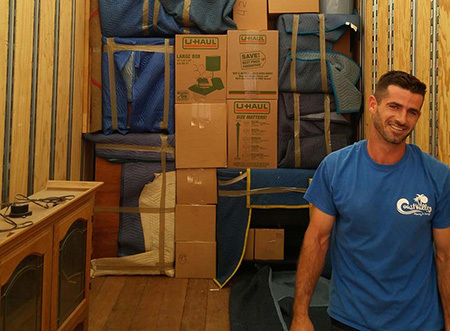 Coast Valley Moving & Storage is a Wheaton Van Line agent, serving the Orange County area. Established in 1972, Coast Valley has been a successful moving company that continually strives to deliver the best moving experience to their customers. They have over 38 years of experience in the industry and they understand what it takes to make a move go as smooth as possible. As an agent of Wheaton World Wide Moving, they are included in a network of over 250 authorized agents in the United States. Coast Valley has always lived by the “customer first” method and it has worked for them for over 35 years. They recently launched a new website to kick off a new year. Coast Valley built a website to offer a unique and friendly experience to their customers. Offering free appointment setting and free in-house estimates, the new website allows a customer to easily connect with someone at Coast Valley for information. Coast Valley also encourages all customers to connect with them via Facebook and Twitter. Coast Valley would like to build their social network with the people that keep Coastal Valley in business. They also publish relevant and informative articles on their company blog. Subscribe to their blog to get updates on new posts and articles. Visit the website to learn more about the moving and storage services they can provide. Coastal Valley has been providing outstanding customer service in the Orange County area for over 35 years and is looking forward to continue to be the top moving company in Orange County.